The frame is light brown with dark brown accents and lettering. 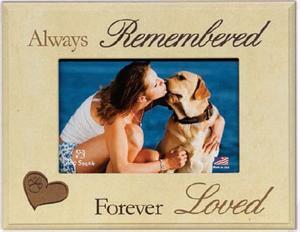 Made to hold a picture to remember our dog that passed over the Rainbow Bridge. Can be used with the stand on the back.